Career progress and performance is an important area in life and through my experience in striving to improve my performance I’ve learned to find many ways to perform well in my career. It’s not been without its share of hard work though! And as a manager, I also have insight and perspective from the other side of expectations and performance improvements and so these career tips come from that mix of experience and from my own study and practice in my career. Please comment below if you have related experience or any experience/stories where you have used this tip! Weather you are in a position since last week or last century, there is great value in keeping your resume up to date for your career. You never know what can happen and especially in recent times of the economy, things can change quickly and it a possibility for pretty much anyone to suddenly find themselves needing a resume for a job hunt. That said, you should keep your resume up to date BEFORE you need it and you will save yourself much pain and frustration from occurring at the same time as other struggles if you are hunting for a new job. Your resume being up to date will give you the kick start you need for a fresh job hunt, whether it be online for Canada jobs, locally in your industry or via your network on social media. This is especially true if you have been in a role for a year or more as there should be a number of accomplishments that you think about including for your resume. Make them specific about what results you obtained whenever possible instead of the resume’s that simply list mundane tasks and impress no one. Put some effort into updating your resume every few months or at least twice yearly to ensure you have recent accomplishments and responsibilities outlined and so that those items are passed by forgotten. Another great reason for updating your resume as it can give you a significant advantage for review presentations or performance reviews. Often you need to include comments or your accomplishments and major activities. If you already have this on your resume from updating it regularly, this review will be a piece of cake. Having details on hand can even help you to address things forgotten by your manager or extra points to highlight which can drastically help to influence your ratings and review issued. Depending on your level of role and network you engage with, you may also find that you are often contacted by recruiters for positions or offers. 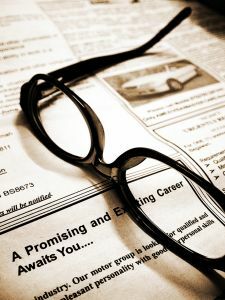 Having your resume on hand and up to date might be the difference from them pursuing you and going to the next guy. Anyone who keeps their resume up to date is more professional and serious about their career (recruiters and hiring managers know this already) so its very helpful to ensure it is recent and ready to send out at any time when needed. How long has it been since you updated your resume? One of the great benefits I would say as well, would be if you leave it to do it all in one shot… your mind might not be as fresh as when your accomplishments actually occured, and you might miss some minor details. I guess also a good comparison would be like… cleaning your room… you can let it all pile up for you to do it all in one day… but that would be really difficult, or you can do it as it happens, you know what I mean? Your absolutely right Jean. Great examples and its true about forgetting important details if its left too long. That tends to make people generalize when they right their accomplishments instead of keeping them specific as examples. I seriously like what you have acquired here, seriously enjoy what you are saying and the way in which you say it. You make it enjoyable and you still take care of to keep it smart. I cant wait to read far more from you. This is really a excellent webpage.